I can’t believe I haven’t shared this recipe with you yet. 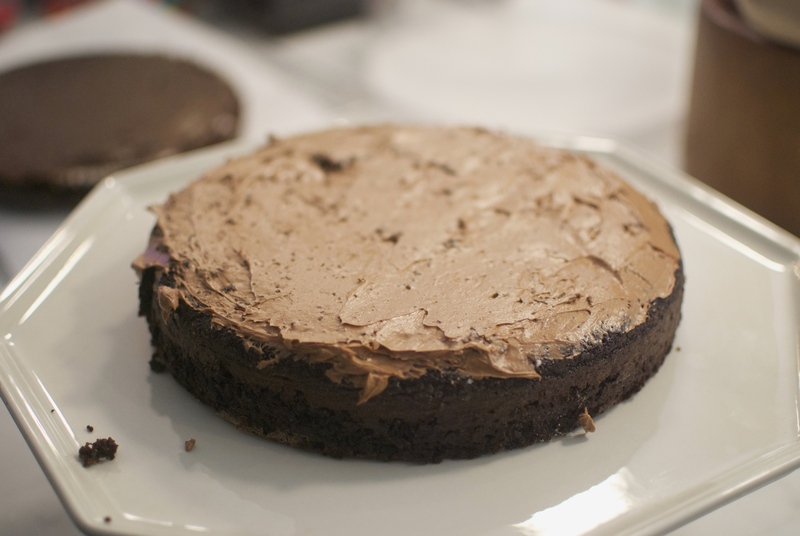 There’s chocolate cake–which I would gladly take any day, mind you–and then there’s Chocolate Cake, like this one adapted from Ina Garten’s Beatty’s Chocolate Cake. 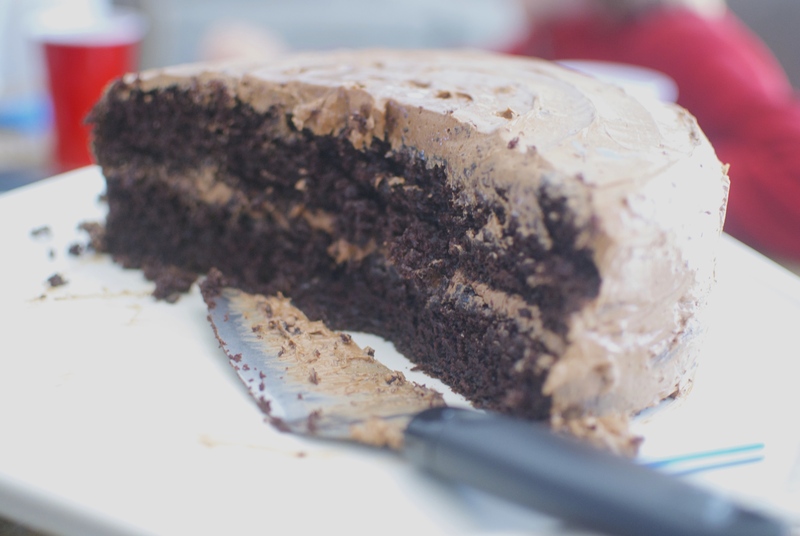 It’s moist and decadent, with a splash of coffee that only acts to further intensify the flavors. 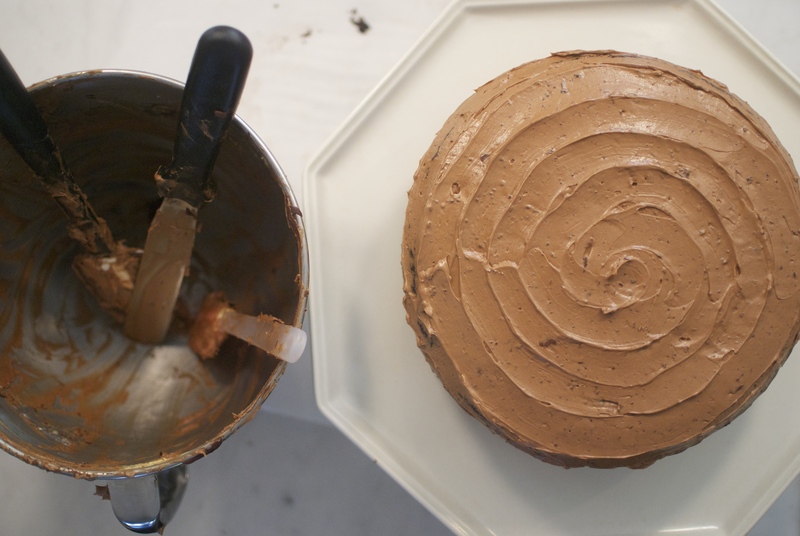 Top the whole thing off with chocolate buttercream, and you’ve got a dessert that’s perfect for any party. Or everyday breakfast, lunch, and dinner if you’re like me. I made this one for my brother and his friends when they all came out to our summer house for the weekend in celebration of my brother’s birthday. It was a long, tiring, loud weekend. But it was fun, too! 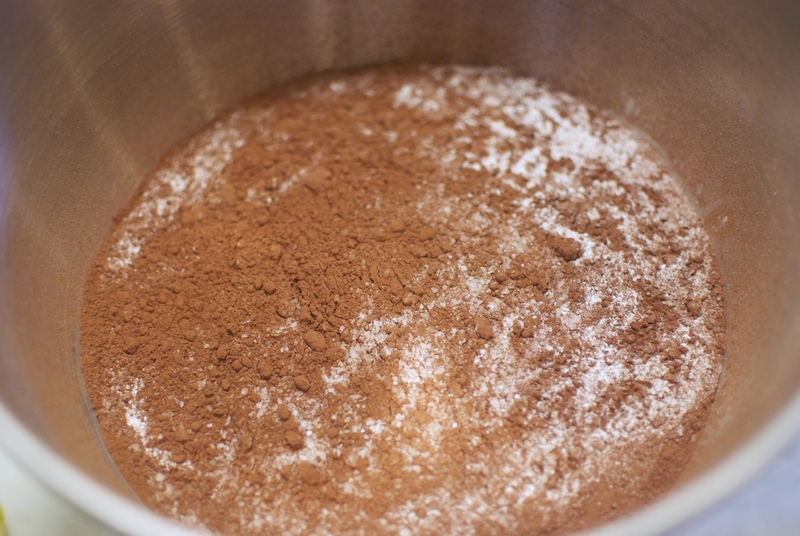 To start, grab a large bowl (or the bowl of a stand mixer) and sift together some flour, cocoa powder, sugar, baking soda, baking powder, and salt. Give it a stir just to combine everything. And pour that into a small bowl along with canola or vegetable oil. 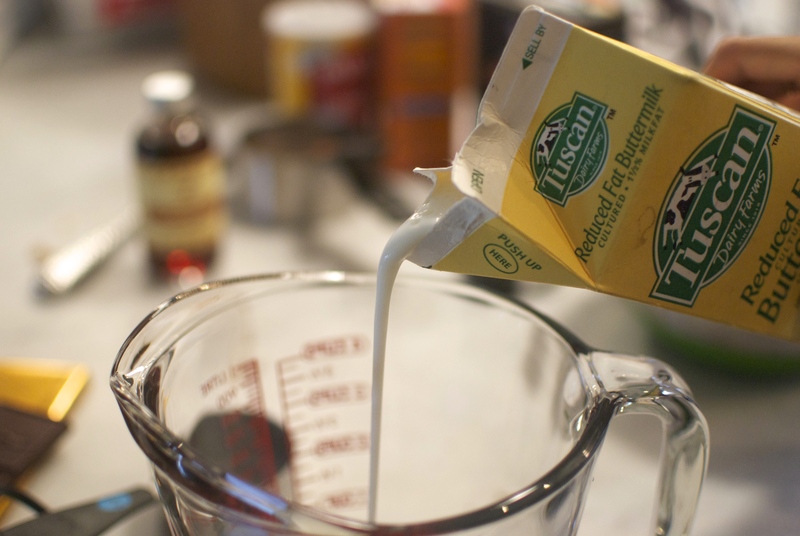 Crack in a couple eggs and add a splash of vanilla, then whisk to combine. Slowly add this to the dry mixture, with the mixer on low. Now just drizzle in some coffee (which won’t make the cake taste like coffee, I promise) and the batter’s ready! Pour this into two buttered and floured cake pans and stick it in a 350 F oven. And then, if you’re like me, take a nice sized lick of the spatula. Repeat as needed. 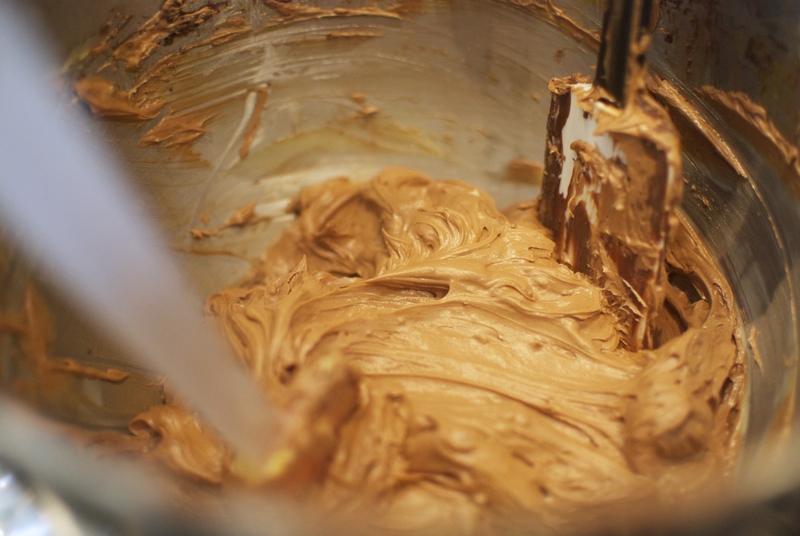 While the cakes are baking, let’s make the frosting! 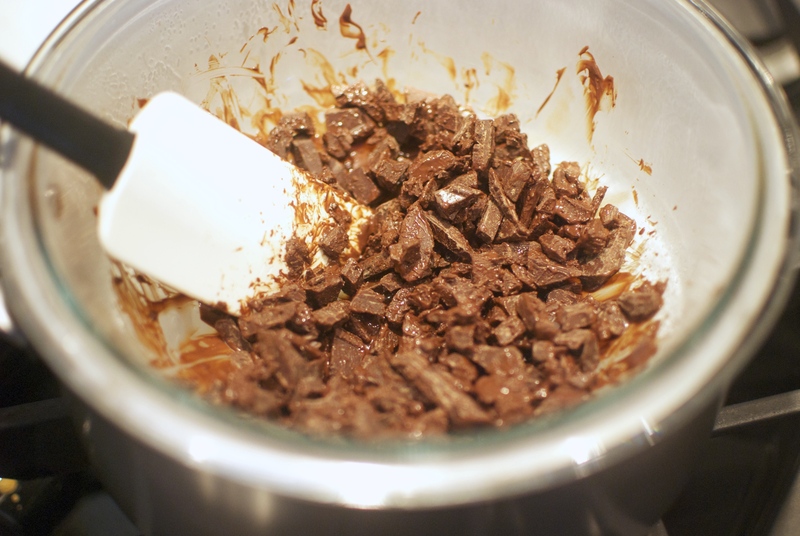 Chop up some chocolate and add it to a double boiler, stirring until it’s all melted. Remember that whole lick the spatula trick? You may want to repeat that again. 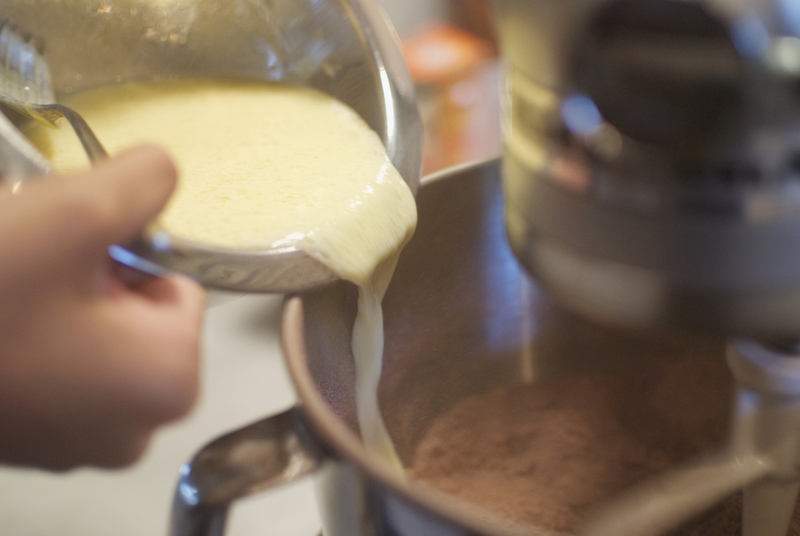 Set the chocolate aside to cool and cream the butter with the mixer on medium-high speed until it’s light and fluffy. Add in an egg yolk and some vanilla and beat for another couple minutes. 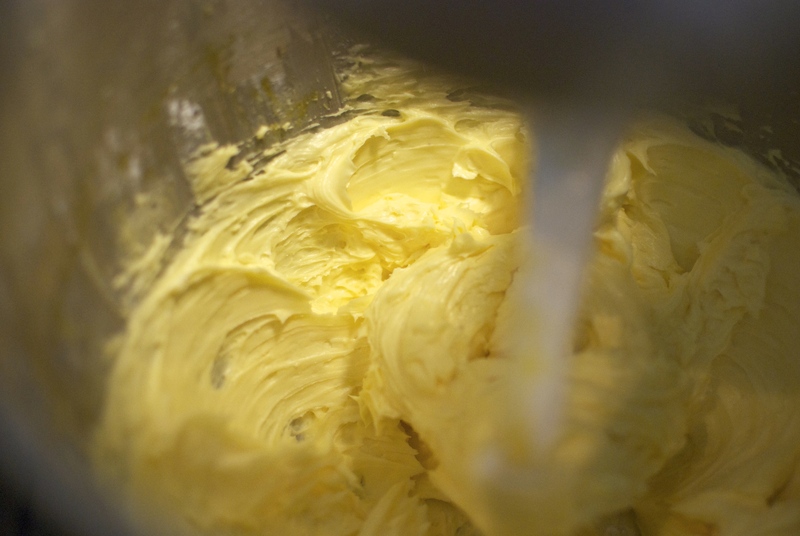 And gradually add it to the butter with the mixer on low. Then, beat at medium speed until the whole thing is nice and smooth. Last but not least, dissolve a tiny bit of coffee powder in some water and add that, along with the chocolate you melted, to the mixture. Hey, look! The cakes are done! 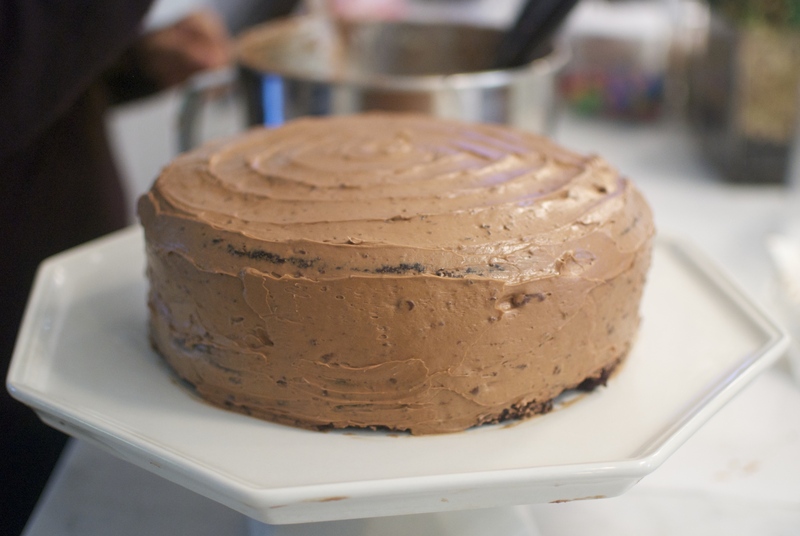 Once the cakes are cool, it’s finally frosting time. 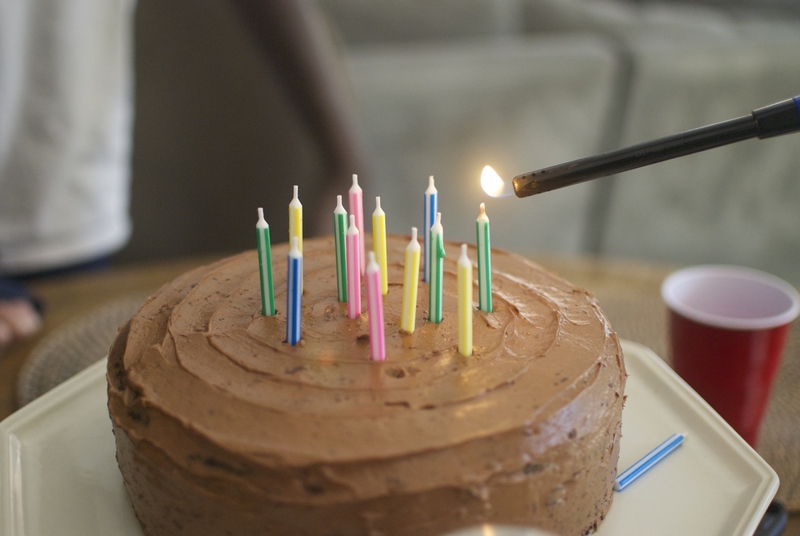 Carefully transfer one cake to a stand or plate, and spread with frosting. Make sure you save enough for the top and sides! And use the rest of the frosting to cover the sides and top. 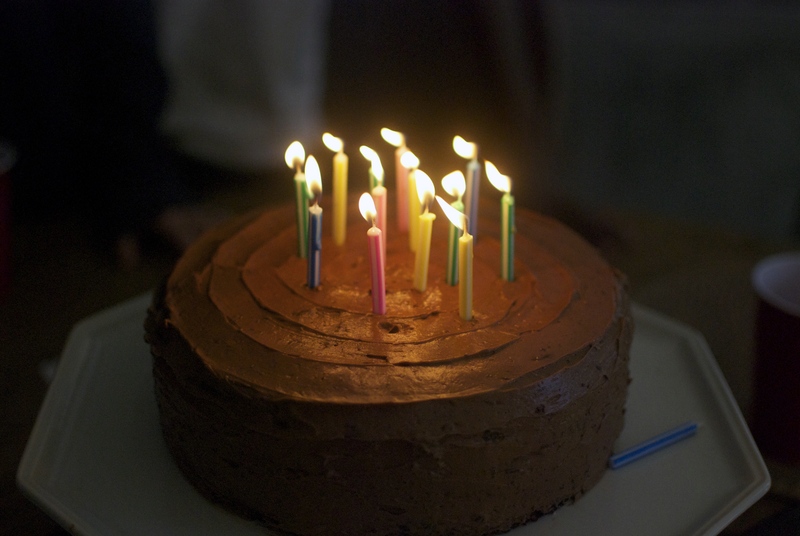 Look how pretty it looks with all the candles in it. This was the cake after everyone had a slice. But leftovers are always a good thing. Leftovers just mean more cake for later! 1. 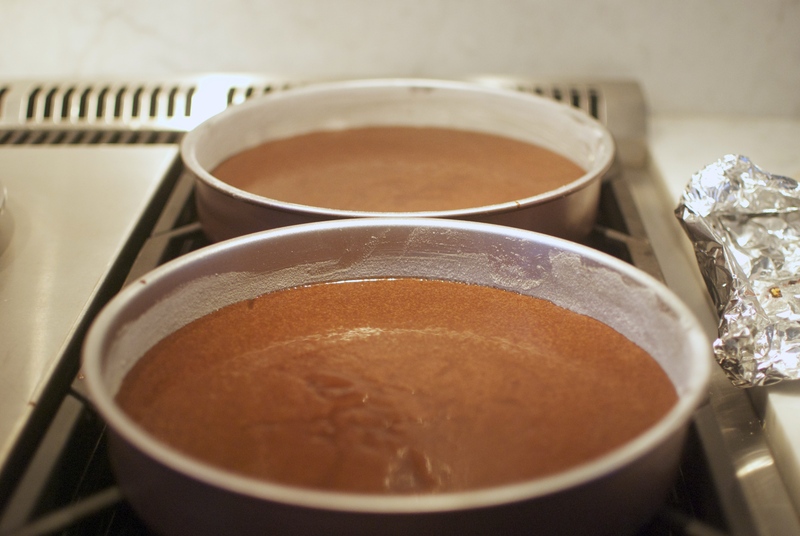 Preheat the oven to 350 F. Line the bottoms of 2 8-inch cake pans with parchment, then butter and flour the pans. 2. Into a large bowl or the bowl of a stand mixer, sift together the flour, sugar, cocoa powder, baking soda, baking powder, and salt. Stir together. 3. 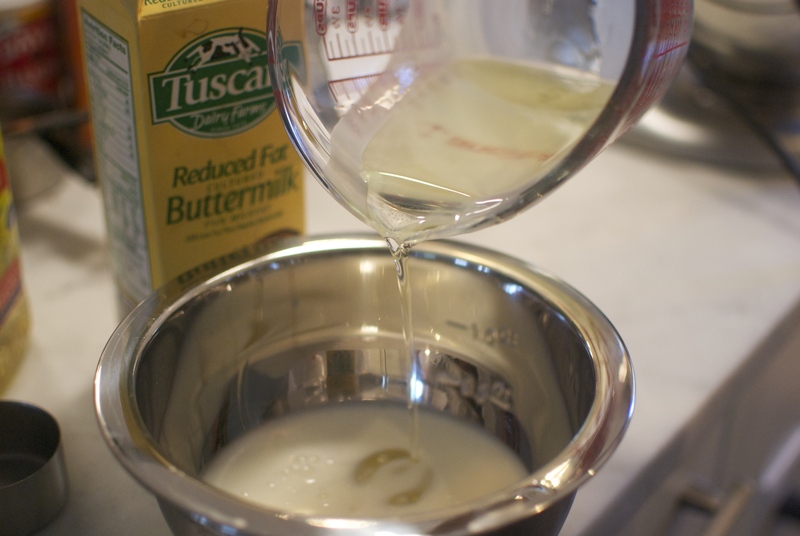 In a small bowl, whisk together buttermilk, oil, eggs, and vanilla. With the mixer on low, gradually add this to the dry mixture. Add in coffee, scraping the bottom of the bowl using a spatula. 4. Bake until a toothpick comes out clean, about 35-40 minutes. Set on a wire rack and cool completely in the pans while you make the frosting. 5. 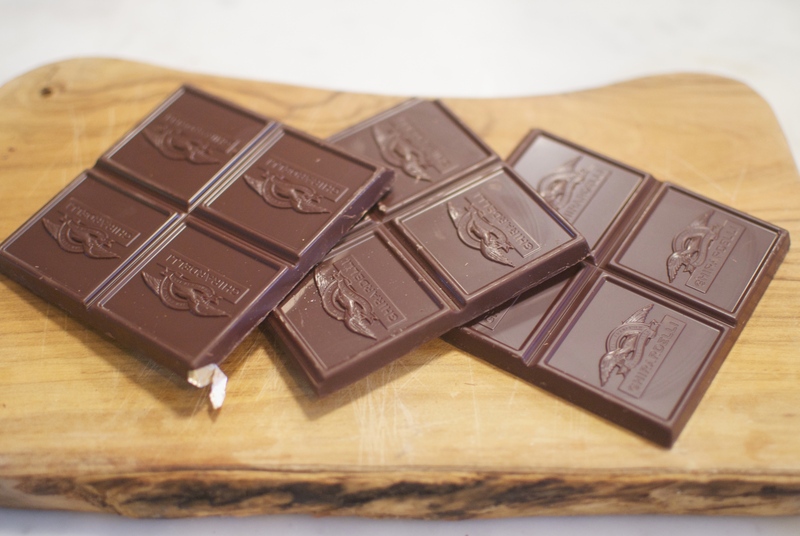 Chop up the chocolate and place in a heat-proof bowl that’s been set over a pot of simmering water. 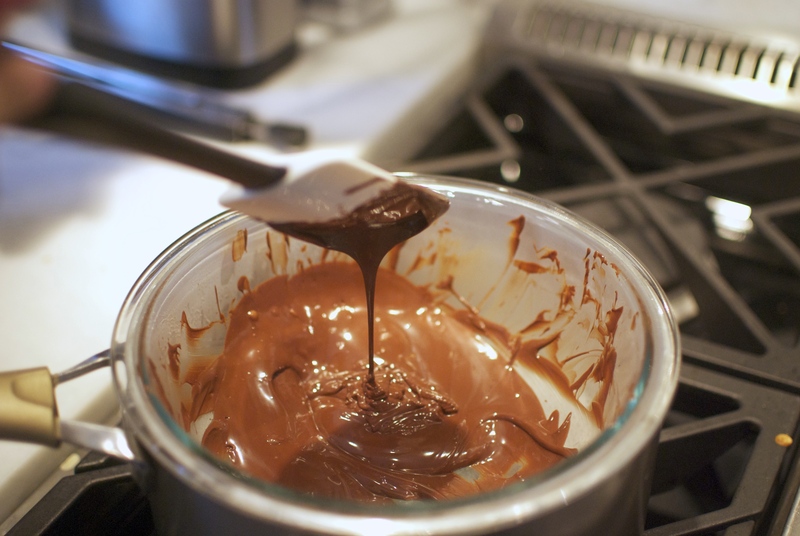 Stir until the chocolate is completely melted, then remove from the heat and cool. 6. 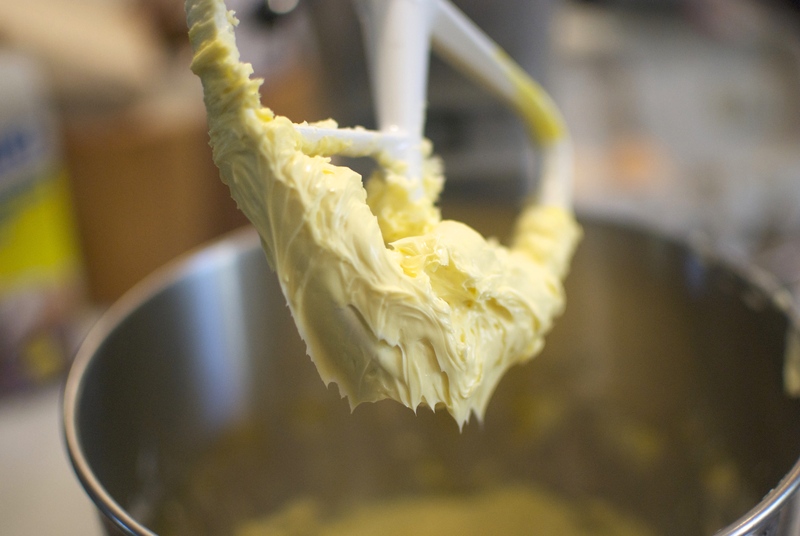 In the bowl of a stand mixer (or a large bowl), cream the butter at medium-high speed for about 3 minutes, or until its light and fluffy. 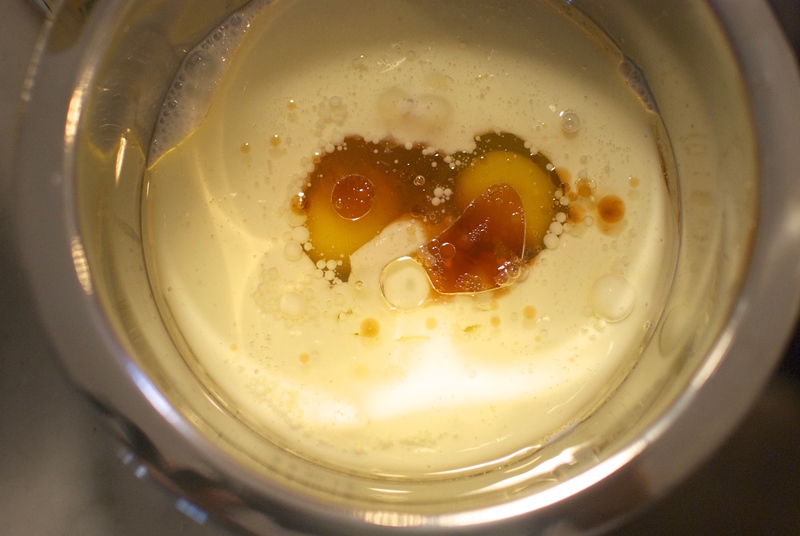 Add in the egg yolk and vanilla, then beat for another 3 minutes. 7. 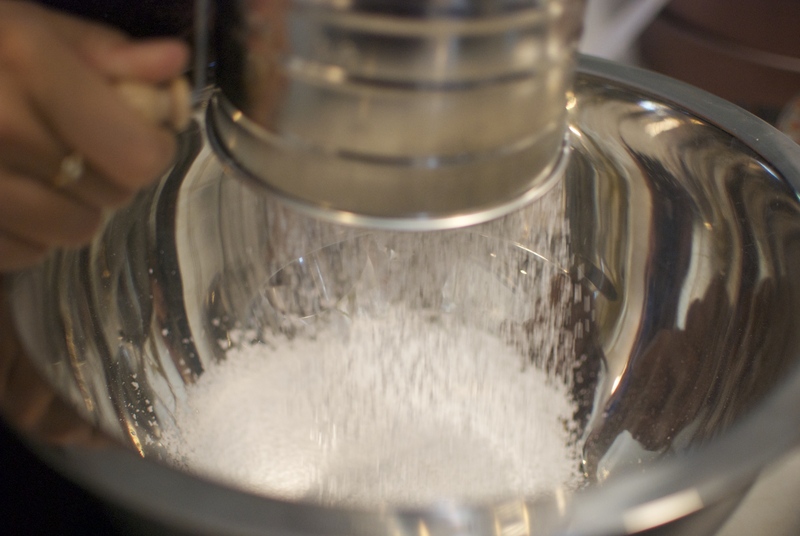 With the mixer on low, gradually add the powdered sugar. Scrape the bowl with a spatula and mix at medium speed until smooth. 8. Stir together the coffee powder and 2 teaspoons of hot water. 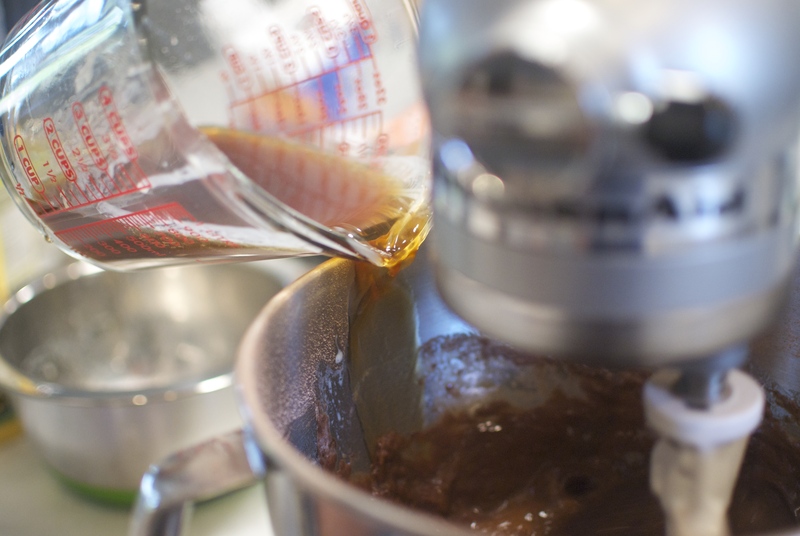 Return the mixer to low speed and add in the coffee and chocolate. 9. 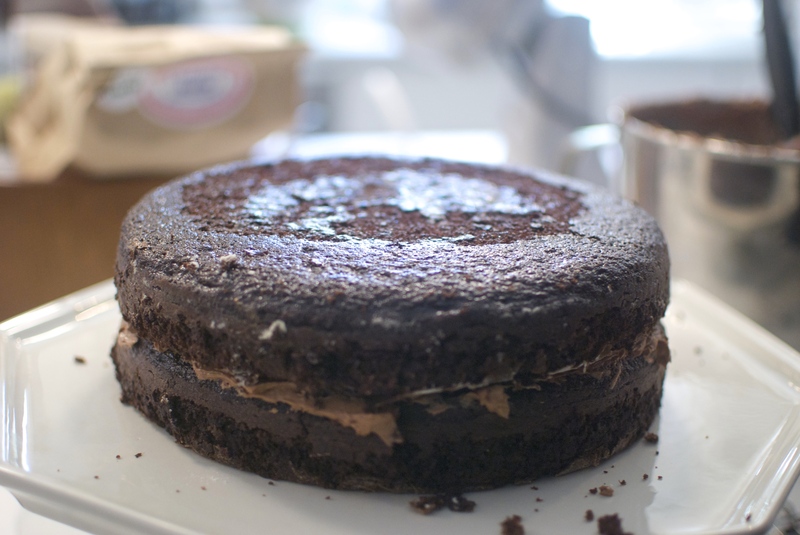 Place one cake (flat side up) on a plate or cake stand and frost, reserving enough frosting to cover the sides and top. 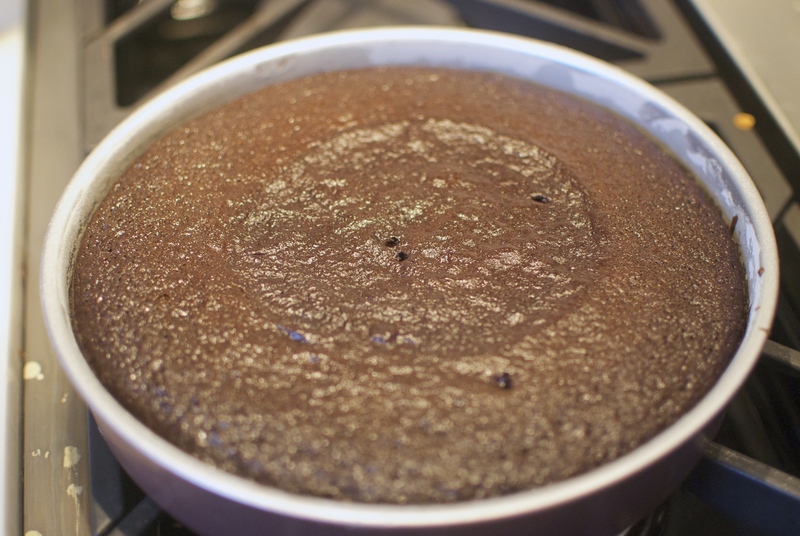 Place the second cake on top with the round side facing up and use the rest of the frosting to frost.